Let us open the door for you! Your garage doors must be installed right. At Oregon City Garage Door garage door installation is done right the first time. We offer reliable commercial garage doors in the Portland area. From service doors to industrial doors, we have a solution for your business. Save time and energy with our maintenance and repair service. It’s available for garage doors we install or your current ones. We’ve received many compliments on our new doors. Great job Oregon City Garage Door! Oregon City Garage Door met and exceeded my expectations! They did a great job and I wouldn’t hesitate to recommend them to anyone. 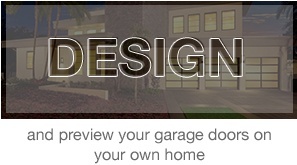 For all your garage door needs in Portland, come to Oregon City Garage Door. We are garage door experts in Portland and the surrounding areas and can help you with everything from new garage door installation to replacement, repair and maintenance. 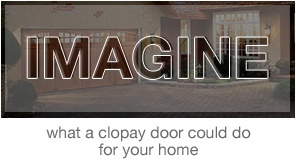 We are an established Clopay® garage door supplier in Portland and can add a stylish and durable new garage door to your home that can totally enhance your home’s exterior, along with a high-tech garage door opener for ultimate comfort and convenience. We offer a full line of great-looking and durable garage doors for your home, including wood doors, steel doors and aluminum doors. We can offer you a door to suit any style of home. We have carriage house-style doors that look like swing-out doors but feature modern overhead operation, classic traditional doors and streamlined modern doors. All our doors are available in a variety of colors and finishes to perfectly suit your home’s exterior. Complement your door with a state-of-the-art garage door opener from LiftMaster®. In addition to smooth and quiet operation, our LiftMaster® garage door openers provide MyQ Smart technology, which allows you to open and close your door remotely from just about anywhere you can get a wireless signal and add the security of rolling lock codes and alerts to your phone whenever the door closes or opens. If you need a tough, reliable garage door for commercial use, Oregon City Garage Door can easily accommodate you with everything from steel and aluminum overhead doors to insulated doors, rolling doors and fire doors. Our rugged commercial operators will have your door opening and closing quickly and easily as often as you need it to, day after day. If you’ve been searching for reliable garage door contractors in Portland to service your garage door, look no further. We happily offer dependable repair and maintenance services all throughout the Portland area, including Oregon City, West Linn, Lake Oswego, Oak Grove, Wilsonville, Tigard, Tualatin, Beaverton, Mulino, Canby, Milwaukie, Estacada, Damascus, Boring, Clackamas, Happy Valley, Gladstone and the surrounding areas. We are the only garage door company in Portland you’ll ever need. We have been servicing the garage door needs of the Portland area for over 25 years and are still going strong. We’ve survived and thrived because of our commitment to customer service and to bringing you the highest-quality garage door products available. If your door is in need of repair, call us and we’ll show up fast with all the tools and spare parts needed to do the job. We also offer affordable maintenance programs to keep your door in top shape year after year. If you need a new garage door or any type of garage door service in the Portland area, we’d love to help right now. Just give us a call today at 503-632-3070 or contact us online now and we’ll schedule an appointment for you right away!